Does Pakistan Have a Second Nuclear Strike Option in Place? Pakistan has claimed the establishment of a nuclear triad against India with Babur-3 but a lot of details have remained undisclosed. 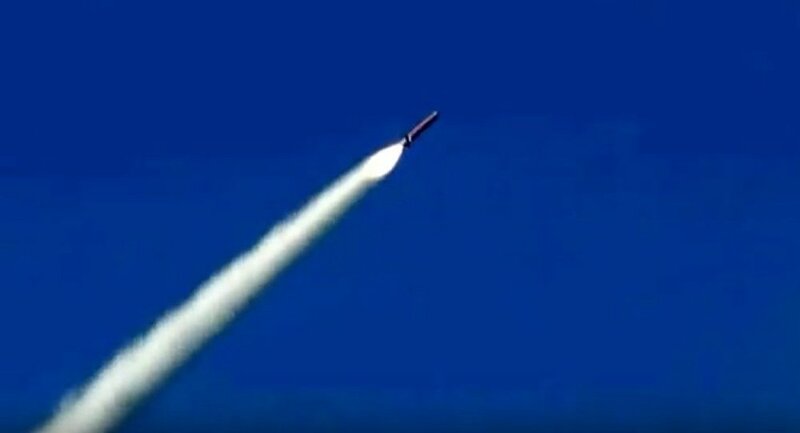 New Delhi (Sputnik) — In a public statement, Pakistan's Inter-Services Public Relations (ISPR) announced that the country had successfully test fired a nuclear-capable, 450-km range Babur-3 submarine-launched cruise missile (SLCM). It went on to add that the missile provides a credible second strike capability and augments deterrence. Pakistan has not specified the submarine platform used to launch Babur-3, but most Indian experts believe that Pakistan Navy's Agosta 90B class — called the Khalid class — was reportedly modified to launch the cruise missile. The SLCM itself is a variant of the land-launched cruise-missile (LLCM) system, Babur-2. Pakistan had tested an enhanced version of this LLCM mid-December last year. With Babur-3, Pakistan has now a functional nuclear triad, although the jury is still out on its effectiveness as the country lacks a nuclear submarine that can stay under water for long durations. India's nuclear triad includes nuclear-powered INS Arihant which was quietly launched last August and has capabilities to launch K-4 SLBMs with a reported range of 3,500km. Should India lose sleep over Pakistan's Babur-3? "The Pakistani nuclear triad doesn't come close to meeting international standards at this stage. As tempting as it is to read this as a response to India's new Pakistan policy under Prime Minister Narendra Modi — and in light of the so-called surgical strikes of late October — there isn't anything about the Babur-3 tests that is stunningly original. Granted, it is a major development. But New Delhi is unlikely to lose sleep over it. If this was indeed an attempt at nuclear signaling, Pakistan has failed," writes Abhijnan Rej, Fellow at The Observer Research Foundation, in Firstpost. Meanwhile, Indian media reports suggest that Pakistan may have faked the test. A leading news channel Times Now quoted a defense and satellite analyst as suggesting that Pakistan faked the missile video and used computer graphics to depict much of the weapon's flight.